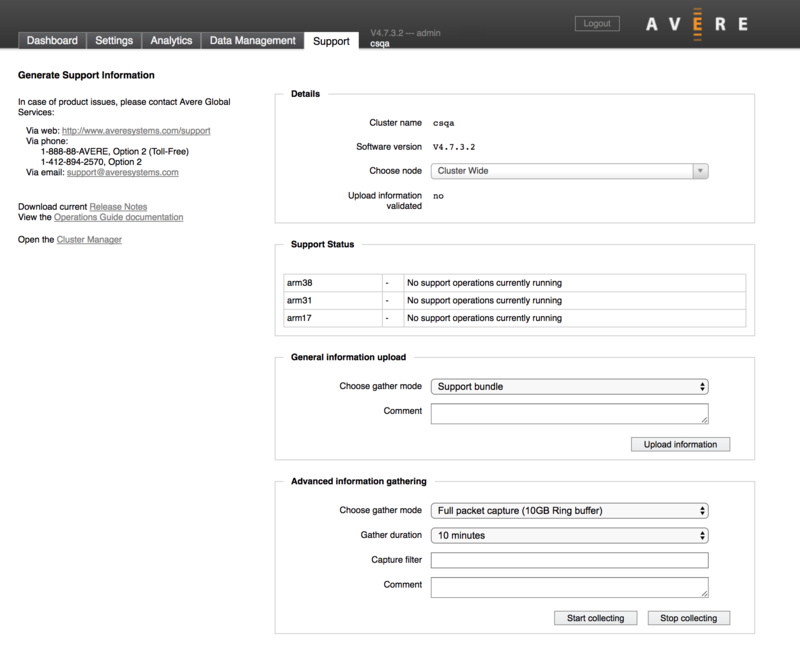 In addition to providing Avere Global Services contact information and documentation links, the Support tab provides interfaces for uploading system information to Avere‘s technical support department to help Avere‘s support engineers assess your situation. It also includes links to documentation, such as the Release Notes for this version of the software, and the online Operations Guide. 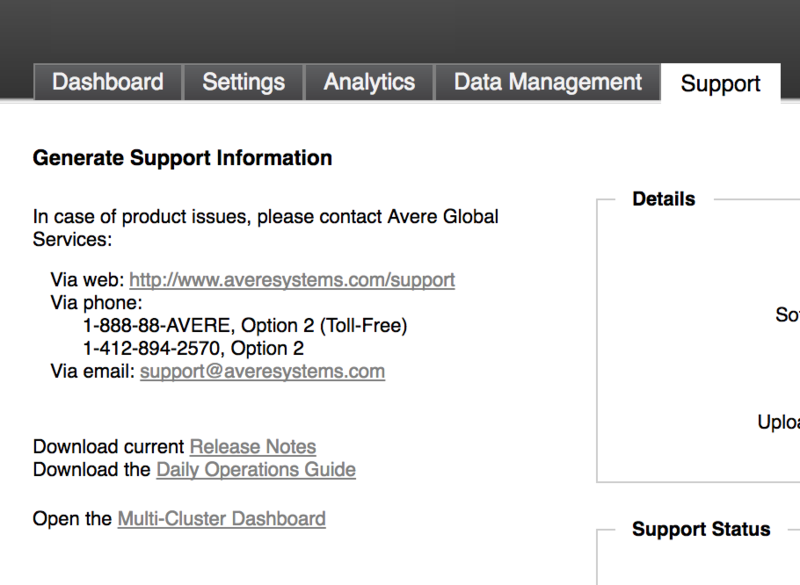 Additional documentation can be found at http://library.averesystems.com.